Goat anti-rabbit IgG recognizes rabbit IgG whole molecule. 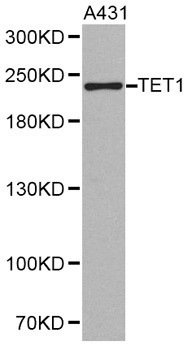 This secondary antibody was purified using antigen affinity chromatography. The antibody is conjugated with peroxidase. Store at -20°C. Aliquot to avoid repeated freezing and thawing. Hu P et. al. (January 2019). Effect of endostatin on proliferation, invasion and epithelial-mesenchymal transition of basal cell carcinoma cell A431. Eur Rev Med Pharmacol Sci. 23(2):877-884.